These four teams will need to be spending time extra time this week hitting the books. Over the course of 80 minutes against the Bay Area schools, the Wildcats looked like a top-10 team for about, what, eight minutes? Four minutes at the end of the Stanford game and four minutes in the middle of the first half against Cal? But then again, this Wildcats team has made a season out of playing poorly for long stretches and still coming away with wins, even against good teams. Against the Golden Bears, however, that wasn’t the case. And, long-term, that type of play is not going to be enough to max out this team’s ability. Sure, the freshman bigs still have room to grow, but with the core of this team a veteran bunch, at some point you have to take this team at face value; maybe these ‘Cats are destined to underachieve. Then again, I’m also saying this about a team with only three losses in the middle of February. Focus on: Angelo Chol. On Thursday night, with Grant Jerrett out with injury, Brandon Ashley fouled out in 13 minutes and Kaleb Tarczewski ineffective, the sophomore big man earned 24 minutes, the most in his career. And, he came through in a pinch, grabbing eight boards and scoring six points over that stretch. He slid back to just six minutes of action against Cal on Sunday, but it must be comforting to know that he’s available to produce when needed. Looking ahead: Thursday night, the Wildcats head to Colorado and enter a lion’s den, where the Buffaloes have the chance they’ve been looking forward to for more than a month — to gain revenge for the Debacle in the Desert. But for the Wildcats, they have the opportunity to rip the hearts out of an opponent. We’ll see if they have the killer instinct to do so. Against USC on Thursday night, the Cougars played the Trojans to a draw for about 35 minutes before fading down the stretch. At UCLA on Saturday night, they weren’t even that lucky, going more than 10 minutes in the first half without a field goal, not scoring their first two-point field goal for more than 16 minutes, and never really finding themselves in the game. With a four-game losing streak in progress and Ken Bone’s first losing season on the Paloose a distinct possibility, WSU fans are relegated to discussing the head coach’s future with the university. Focus on: D.J. Shelton. A 6’10” athletic power forward putting up 9.5 rebounds per game? Sure. Nothing unusual about that. But that same guy handing out 11 assists over the course of a pair of games? That’s intriguing. Shelton still can’t put the ball in the basket on a regular basis anywhere around the key, a disturbing trend for a big guy, but he is the team’s most accurate three-point shooter, knocking down 41% of his 39 three-point attempts this year. Looking ahead: Hosting Oregon State and Oregon this week (albeit in front of a largely empty Beasley Coliseum) likely presents the Cougars with their last best chance at a home sweep this year. The biggest breaking news over the weekend came out of Eugene late Friday night when Bob Clark of the Register-Guard reported that Dominic Artis would be out indefinitely with a foot injury of undetermined severity. Oregon still managed to knock off Washington on Saturday evening (in the first sellout at Matthew Knight Arena in almost two years) with Artis watching from the bench in a walking boot. Junior Jonathan Loyd got the start and was solid, getting to the line 10 times in 31 minutes of action and scoring nine points, but he did turn the ball over five times to go along with his five assists. The other guy who earned some of the Artis’ minutes was freshman Willie Moore, who earned nine minutes, his most since before Christmas, but he too struggled with turnovers. With no timetable announced for Artis’ return, the Ducks will have to rely on those two to step up as they go to the Bay Area schools next week. The other injury of note over the past week was to UCLA’s Travis Wear, whose concussion suffered in the first half against Arizona on Thursday night kept him out of Saturday’s visit to Arizona State. But, Travis Wear or no Travis Wear, the Bruins were going down hard on Saturday. They struggled with the Sun Devils’ athleticism, size and energy, but mostly, they just weren’t engaged in the game after Thursday night’s big win. ASU outhustled UCLA from the opening tip to the closing buzzer, with Jordan Bachynski, Carrick Felix and Evan Gordon having big games and Jahii Carson, despite struggling from the field, conducting a masterful performance at the point. Last night in front of a sparse crowd limited by blizzard conditions in Salt Lake City, Stanford’s offense got back on track in a big way against Utah, scoring 46 first-half points, 87 points for the game, and looking for the first time in a long time like the explosive team that ran to last year’s NIT title. On the Utah side of the court, sophomore transfer Dallin Bachynski did not suit up for the game and his future at the school is in doubt. After getting double-figure minutes in his first 12 games as a Ute, he hasn’t seen anywhere near that run in Pac-12 play and has lost his starting job to senior Jason Washburn. Bachynski met with head coach Larry Krystkowiak on Friday to discuss his future with the program, and while there are no immediate answers as to his long-term status, the fact that he did still sit on the bench with the team (although he didn’t dress out), indicates that he isn’t going away permanently quite yet. Arizona bounced back from its disappointing loss on Thursday by jumping out to a commanding early lead against USC and never looking back. 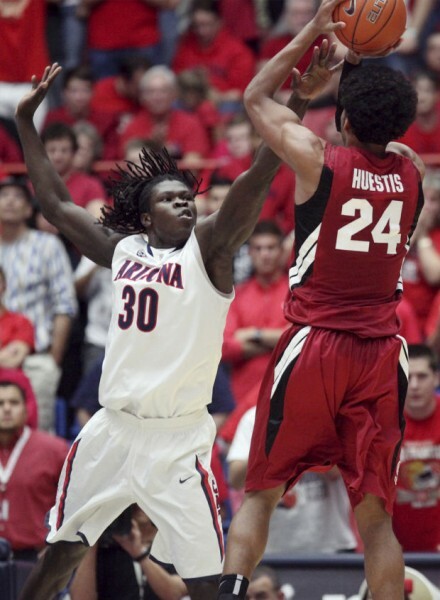 The Wildcats held USC to nine points on its first 23 possessions, forcing seven turnovers and 2-of-19 shooting. Aside from the crispness with which the ‘Cats played, another aspect of the game that pleased head coach Sean Miller was the fact that it gave him a chance to extend his bench and find some minutes for guys like Angelo Chol and Gabe York. After playing in the first 14 games of the year, Chol has slid back to take the ninth-man spot in an eight-man rotation, but he played with energy in his eight minutes against the Trojans, grabbing a couple boards and blocking a shot. 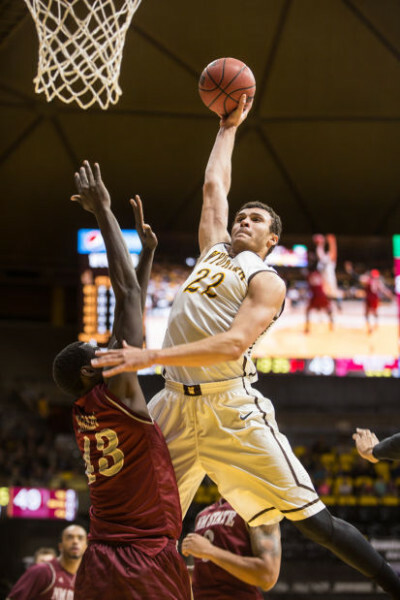 York, a high-flying freshman, has now played in nine games this year, but the USC game was his first appearance in Pac-12 play and he followed Miller’s advice by being very aggressive in looking for his shot. York played eight minutes and yet found room for five three-point attempts, knocking down a couple. Miller has talked with both guys about their playing time and has come away impressed with their maturity even when the minutes haven’t been there. Colorado took it to California on Sunday and did so without the services of Andre Roberson for much of the first half. Despite losing the nation’s leading rebounder to foul trouble, the Buffs rode some hot shooting to a 34-18 halftime lead and never looked back. After the game, Cal head coach Mike Montgomery had plenty of questions about his team, including whether the team even thought it could win the game and what type of mindset it now has. With conference leader Oregon due in Haas Pavilion next weekend and any distant hopes of an at-large bid to the NCAA Tournament receding into the sunset, the Bears need to get it together, and quick. One good bit of news: senior guard Brandon Smith returned to action this weekend after six games lost due to the effects of a concussion. Pac-12 basketball exhibition games are generally meaningless affairs where a big school beats up on an overmatched foe while the former’s head coach tinkers around with different lineups and different styles. Usually the Pac-12 team wins going away and no one loses too much sleep about the result one way or the other. Still, valuable information can be gleaned from some of these games: Which returnee has made the biggest strides, which of the newcomers can make an impact early in their careers, and who is getting passed up for playing time? For Arizona, with three new and talented freshman big men, sophomore forward Angelo Chol is battling for a spot in the lineup and he’s had some struggles in the team’s two exhibitions. He’s missed some point-blank shots and has lost some confidence, but head coach Sean Miller is still relying on him to earn minutes while senior leader Solomon Hill is doing his best to keep Chol’s head in the game. Hill, on the other hand, was nearly flawless in his latest outing against Chico State (an Arizona win, 98-60) , with only a late missed free throw and a single turnover as blemishes on his performance. We’ve all got our favorite Pac-12 blogs, but one of my personal favorites is Coug Center. There are times when it seems like you’ve got to hunt down information about Washington State, and over the years I’ve found Coug Center to be by far the best place to keep up to date with all things WSU. While football is still king there (and a lot of other places) for the time being, Kyle Sherwood, Jeff Nusser and Craig Powers did a great job running down their thoughts on the upcoming season. In light of the Reggie Moore dismissal, topic number one was who will play point guard and they’ve got no better answer than anyone else, other than the fact that Royce Woolridge, DaVonte Lacy and Mike Ladd are going to be forced into a lot of minutes and a point guard-by-committee situation. Who knows, it could work, but just remembering Arizona State last year without any real point guard leaves plenty of room for doubt. We’ve talked in the past about Utah’s complete remaking of its roster, and there is little doubt that Larry Krystkowiak has upped the talent level there. But with many other programs around the conference improved as well, the question remains whether his new roster will result in additional wins. Based on a ridiculously week non-conference schedule, one would hope the Utes would be able to notch at least six wins prior to conference play, but can they improve on last year’s three Pac-12 wins? Many around the conference are picking Utah at the back of the pack — they were 12th in the preseason Pac-12 poll — but with capable offensive players like Jarred DuBois, Aaron Dotson and Jordan Loveridge as well as a deeper bench than the Utes have had in a couple of years, you can probably expect their improved talent to be reflected in their final record, even if they’re still almost certainly doomed to a lower-division finish. Back on the recruiting trail, UCLA landed three-star wing Noah Allen in the Class of 2013 on Tuesday. A one-time Harvard commitment, Allen certainly isn’t the type of player that head coach Ben Howland landed last year — Scout.com recruiting guru Evan Daniels calls him “a four-year guy” who is more of a long-term project than an immediate impact player. Interestingly enough, apparently Howland made the offer without ever having seen Allen play in person. We’re guessing that there won’t be any eligibility concerns with this prospect roughly a year from now. Lastly, we’ll hop across town where USC head coach Kevin O’Neill has named junior J.T. Terrell as the starter at the two-guard, beating out returning starter Byron Wesley for the job. Wesley is still expected to get plenty of run, both in relief of Terrell and at the other wing spot, but, man, sometimes the things that O’Neill says just makes you shake your head in disbelief. “He’s finally starting to play hard,” said O’Neill, inferring that for the longest time, Terrell wasn’t playing hard. O’Neill then went on to say that Terrell is “more intelligent than I thought he was.” Goodness. It makes you wonder if O’Neill thought he was complimenting the transfer player, or if he was going out of his way to get a few jabs in his ribs. Terrell’s certainly a talented offensive player, but you know in order to play for K.O.’s Trojans, you’ve got to be committed to give good effort on the defensive end. I would suspect Terrell’s defensive intensity, or lack thereof, is where these latest back-handed compliments stem from. Throughout the preseason, the Pac-12 microsite will be rolling out these featured breakdowns of each of the 12 league schools. Today’s release is the Arizona Wildcats. 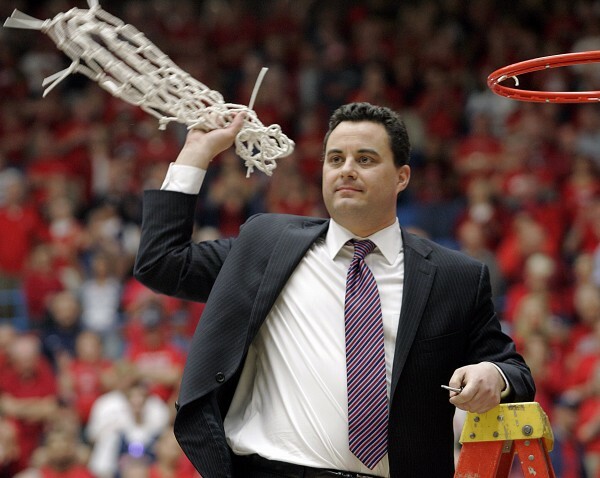 Strengths: Sean Miller finally has all his pieces down in Tucson. This Wildcat team is talented, filled with depth, and has some serious athleticism. With all Miller teams, great defense is expected and this squad is no different. Offensively, these Wildcats can score, they can get out and run, and execute their offense efficiently in the half-court. With the backcourt stacked with transfer Mark Lyons and returning guards in Nick Johnson, Kevin Parrom and Jordin Mayes, the Wildcats will be fresh for all 40 minutes and be very hard to stop. Lyons is a much better facilitator than Josiah Turner was, and is very comfortable transferring over from Xavier having been recruited by Sean Miller there. On the front line, Solomon Hill can score down low or stretch the floor with a good mid-range game as well as hit the occasional shot from beyond the arc. To help Hill out, Miller brought in the second best recruiting class overall featuring bigs Brandon Ashley, Kaleb Tarczewski, and Grant Jerrett. All are expected to contribute right away, but nothing is ever certain with freshman. However, it’s pretty safe to say that based on their talent level the three combined will be able to replace Jesse Perry’s production. Additionally, Angelo Chol returns with another year of experience, and although he is still raw offensively, he can defend and rebound well for his position. Sean Miller is now in his fourth year at Arizona and this team has the potential to become elite. 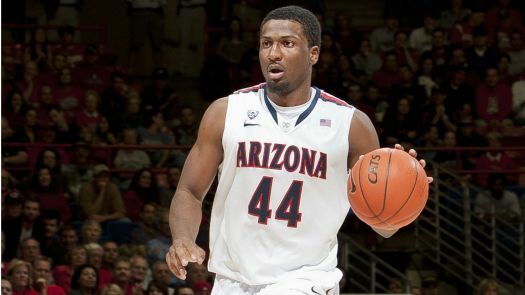 Solomon Hill could cause multiple matchup problems at the small forward spot this year for opponents. Weaknesses: It’s hard to point out any weaknesses on this team. But, as of now, the Wildcats don’t have a proven player who can really take over a game — there’s no Derrick Williams here. Yet, at least. Also, they are relying on freshman in the post to help carry some of the scoring burden. And most importantly, while Lyons is certainly a talented ballplayer, he has not yet proven his ability to handle the point guard position full-time. If everything comes together as Arizona fans hope, this Wildcat team may not have many noticeable weaknesses, but there are plenty of questions that need to be answered between now and then. Washington picked up the second commitment of its 2013 recruiting class on Sunday, adding shooting guard Darin Johnson out of Sacramento. The Sheldon High School (CA) product chose the Huskies over UCLA, San Diego State, and Gonzaga, among others. Johnson’s style is very much up-tempo, if only because he’s a prolific scorer and the more touches he gets, the more come with it. As the article points out, the in-state Aztecs would have been a very tempting choice considering head man Steve Fisher just landed a pair of Johnson’s AAU teammates. But with Abdul Gaddy and Scott Suggs graduating after the 2012-13 campaign, the minutes will be there immediately for Johnson in Seattle. Johnson joins Findlay Prep (NV) point guard Nigel Williams-Goss as the Huskies’ second Class of 2013 commitment. With the backcourt complete, coach Lorenzo Romar will now turn his attention to five-star power forward Aaron Gordon. Coming off a 19-14 season that was downright embarrassing at times, UCLA’s summer exhibition trip to China might have come at just the right time. It was there that the new-look Bruins, featuring one of the top recruiting classes in the country, bonded together and dominated their games. They did that without the services of freshmen Tony Parker and Shabazz Muhammad, who sat out the trip due to an injury and eligibility concerns. Parker is now healthy, but it’s scary to think how good Ben Howland’s bunch can be this season if Muhammad is cleared by the NCAA. With a pair of five- and four-stars now residing to Los Angeles, the Bruins should not only compete with Arizona for the Pac-12 championship, but are a likely candidate to make at least the Sweet Sixteen come March. We showed you a few weeks back how many men’s non-conference games would be televised by the new Pac-12 Networks (89, in fact), so it was good news for those that also like to see the women ball when conference commissioner Larry Scott announced that 61 women’s games would be televised on the networks this season. Needless to say, there’s going to be more than enough Pac-12 basketball for the average and even addicted fan to enjoy this season. If your television provider doesn’t carry the Pac-12 Networks, you can let your voice be heard here. With the start of practice comes projections of all sorts, and in this Daily Wildcat piece, Zack Rosenblatt breaks down the 10-man Arizona rotation. Newcomers Grant Jerrett and Mark Lyons make up two-fifths of the starting five, but Solomon Hill will be required to carry most of the load with the departure of Jesse Perry. Rosenblatt projects sophomore Angelo Chol to get the start at center over highly touted freshman Kaleb Tarczewski, but notes that “having a talented 7-footer like Tarczewski come off the bench is a nice problem to have.” Most of the “key reserve” list is either filled with freshman or bench players who rarely started last season. Junior guard Jordin Mayes is the exception, whose starts were mostly based off whether he was hot or not coming into a game. Building on the thing that helped keep Utah competitive toward the end of 2011-12, head coach Larry Krystkowiak is devoting 80% of practice to the defensive facet of the game. Already believing that his team has a “scoring punch” (which may be a bit of a stretch, but we’ll reserve judgement until games start), the Utes want to work on help-side defense and stopping attacks at the rim. A lack of discipline and quickness last year would lead to many back-door attacks on the Ute defense, commonly resulting in finishes at the rim. Taking that away and forcing teams to shoot from outside will keep them in games longer, and the longer they are in those contests, the more of a chance something good will happen for the Utes. After all, jump shots are typically tougher to put down than slam dunks. We’ve spent the week with the Wildcats, and if you’ve followed along, you’ve likely got your own opinions about what the 2011-12 season will hold in store for Arizona. Can Mark Lyons strike the right balance between distributor and scorer at the point? How quickly can the three freshmen bigs make an impact? Which, if any, of Nick Johnson, Kevin Parrom or Angelo Chol will have a breakout year? And can this Wildcat team lay the foundation for another long run of consecutive NCAA Tournaments? If you’re anything like us, I’m sure you can’t wait to find out the answers, but for now we’re going to have to settle for a glance into RTC’s quite imperfect crystal ball. From what I can glean, here’s how the Arizona season plays out. UA’s Leading Scorer – Mark Lyons. It’s possible the Xavier-transfer could blow up and average 20 points a game this season, but that probably wouldn’t be good for Arizona’s team goals or Lyons’ personal goals. Still, he’s a guy who can get his own shot at will, either off the bounce or from deep. And, he’ll have the ball in his hands enough to score plenty. Still, with all the talent on this team, the guess is that this roster winds up producing pretty balanced scoring, with four different players scoring in double figures.